If you’ve ever found yourself stranded on the side of the road, you know what a pain a flat tire can be. In this instance, a spare tire is a real lifesaver. 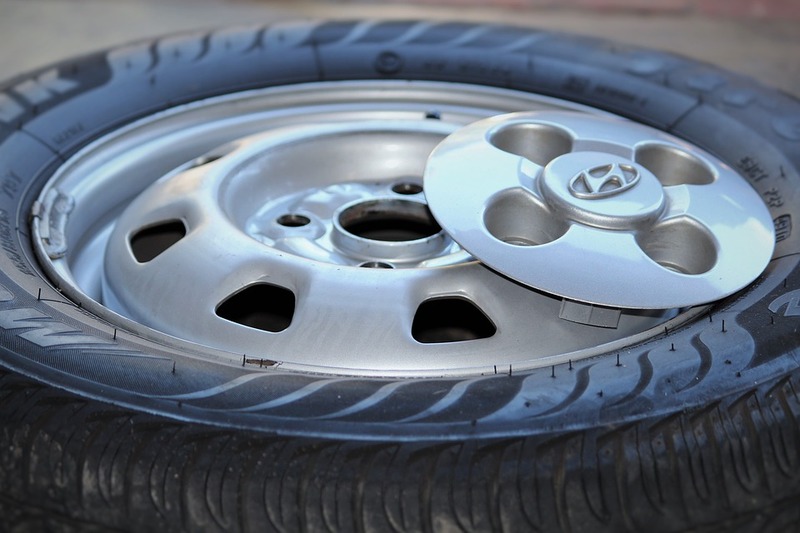 Keeping a spare tire in your car is a necessity that should not be passed over. The type of spare tire in your car depends on the model of car you are driving. Some new cars do not come with a spare tire, so it is up to you to buy and store a backup tire in case of emergency. Full-size matching spare tire – This tire is exactly the same as the tires your vehicle is equipped with. If you have this type of spare tire, it should be worked in as a part of your car’s tire rotation pattern. The advantage of having this type of spare tire plays out aesthetically. Your car will not look odd or weird with a non-matching tire after you replaced the flat tire with your spare. Full-size but non-matching spare tire – This spare tire is also full-size, but it does not match your regular tires. You don’t have to include this tire as part of your tire rotation pattern. Compact temporary spare tire – This is a lightweight tire that comes with shallow tread depth. It is significantly smaller than your regular tires and will require more air pressure. The manufacturer of your car must approve this type of spare. It is not meant to be used long-term. Make sure to get a full-sized, replacement tire as soon as possible to avoid any damages to your vehicle or your other three tires. Full-size temporary spare tire – This spare tire has a lightweight construction, but it matches the tire size specification of your vehicle. This is meant as a short-term solution for your damaged tire. Folding temporary spare tire – This is a foldable or collapsible tire that requires inflation before installation. You will need an air canister or an electric air pump to inflate it before mounting, which will take significantly more time than simply installing a pre-filled spare. Run-flat tires – This type of tire, which is used in most models of BMW, can be driven flat until you reach the nearest tire repair shop. There is no spare tire in the trunk of the vehicles using this type of tire. Regardless of the type of spare tire your car requires or what the manufacturer provides, be conscious about keeping a spare tire in good condition in your vehicle. It’s also a good idea to keep a portable air pump in your car, so you can adjust the air pressure of all four tires as needed. Remember, except for the full size, matching spares, backup tires are meant to be temporary. Remove and replace the damaged tire in a timely manner to maintain the integrity of your other tiles and your vehicle as a whole. Do not drive any longer than is necessary on temporary spare options. Not everybody would have some interest about tires but for car buffs like you, knowing more about spare tires could give you an edge over your friends. It may look the same but there is something else you need to know about that spare tire. Five types of spare tires are presented in this infographic.